Have you ever been at a place in your business when you felt like you needed to change? Maybe you're constantly stressed out, maybe you're not making enough money, maybe you just feel called to do something different! If yes, you need to use these five questions to ask yourself before your pivot your business. I've been there, done that. Multiple times. It may be time to pivot when you're not getting the results you want – maybe you've reached a plateau, or worse, your sales have been declining. It may be time to pivot when you're no longer passionate about what you've been doing and you want to do something different. It may be time to pivot when you're regularly dealing with burnout, stress, anxiety, or other physical / mental / emotional issues that are affecting your quality of life. It may be time to pivot when your audience has grown / changed and you can better serve them in a different way. 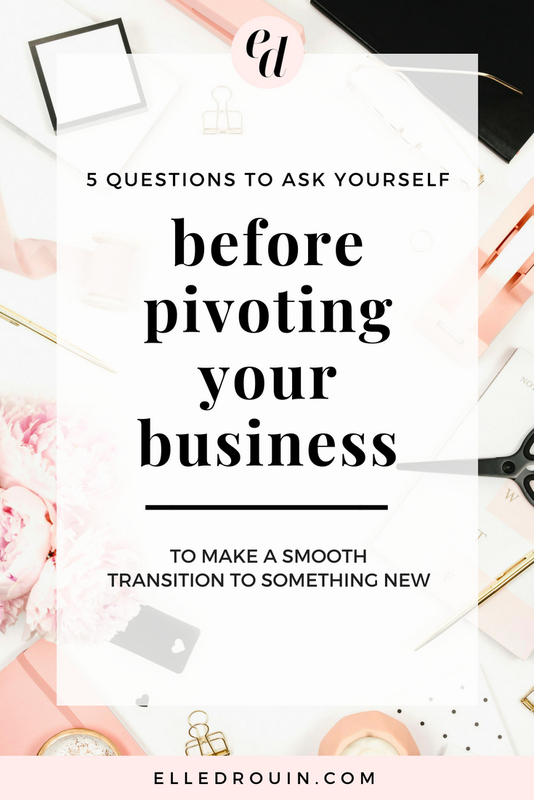 There are a lot of reasons why it may be time to pivot your business – and knowing when it's time can make a huge difference in how happy / how successful / how stressed you are as a business owner. How do you know when it's the “right” time – unfortunately there's no universal answer to that, but if you've been thinking about making a change, changes are… it's already the right time. I've never regretted pivoting in business or in life… but I have regretted not pivoting sooner! What do I really enjoy / not enjoy doing (and why)? I was totally guilty of this in my first year of business. I offered Instagram consulting sessions and then people would ask if I could just manage their Instagram for them… so I did. But one of the reasons I started my business was to get away from the day-to-day social media management that I was doing at my previous job, so I totally did NOT want to do this! 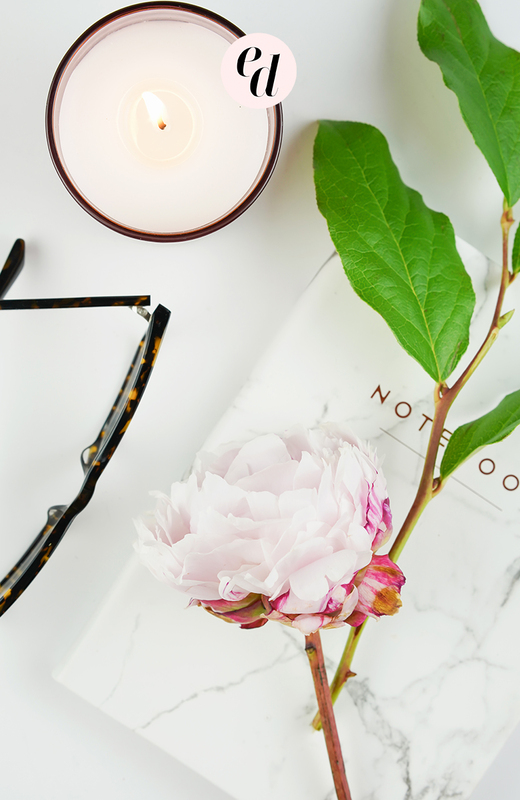 I said yes – partially because I knew I COULD do it, but mostly because I didn't want to turn down potential clients, but eventually I realized how much I didn't really enjoy this part of my business and I stopped doing it. If you're unhappy in your business, sit down and make a list of the things that you actually enjoy doing and the things that you don't enjoy doing, then figure out if you can eliminate, automate, or outsource the things that you hate so you can focus on doing what you love! What are people actually paying me for? Ok, #realtalk – if you're offering services that no one is hiring you for or selling products that no one is buying, it might be time to pivot. On the flip side, if a certain revenue stream is doing better than the others, you might want to focus on that rather than #allthethings (seriously, don't do #allthethings). 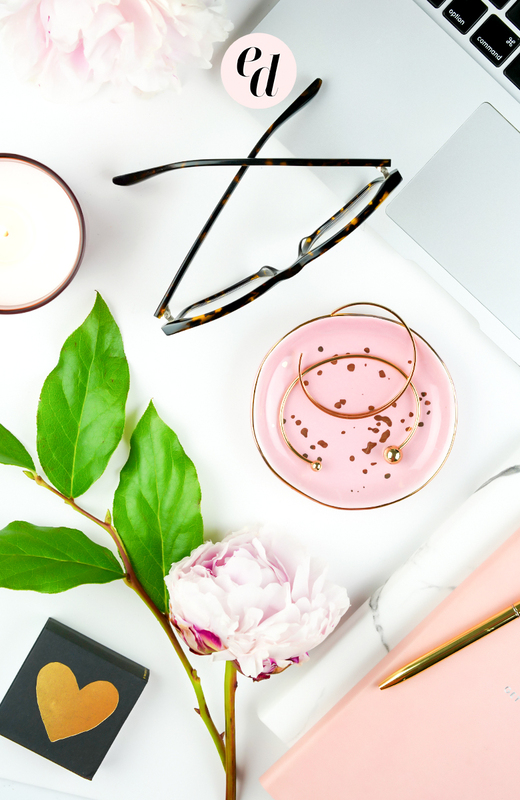 One of the reasons I quit teaching online courses at the end of 2016 is that my revenue from the Styled Stock Society was growing much faster and I knew that if I put more effort into that part of my business I would actually be happier (and more profitable). Do the things that make you happy but also do the things that actually put money in your bank account! What do I want to be doing (that I’m not already)? Sometimes pivoting is driven by a desire to do something different – and that's a totally a valid reason. But just because you want to do something different, that doesn't mean that it's a a “better” option. If you think you want to start doing something different, it's important to do market research to make sure that your new offer is something that people actually want. Assuming you have current clients / customers or any type of community, survey them to see if they would be interested in it. It's much easier to sell something to your existing audience than to find an entirely new audience. if you want to pivot in a completely different direction (where your new target audience would have no overlap with your current audience), then you still need to do your research but you'll have to look outside your current clients / customers. Tap into other communities where your new target audience might hang out and make sure you're connecting with at least a few people who can verify that there's a need for the new product or service that you want to offer. Either way, if you're pivoting in a new direction, I definitely recommend beta testing or pre-launching your offer to get feedback and validation before you go all in. 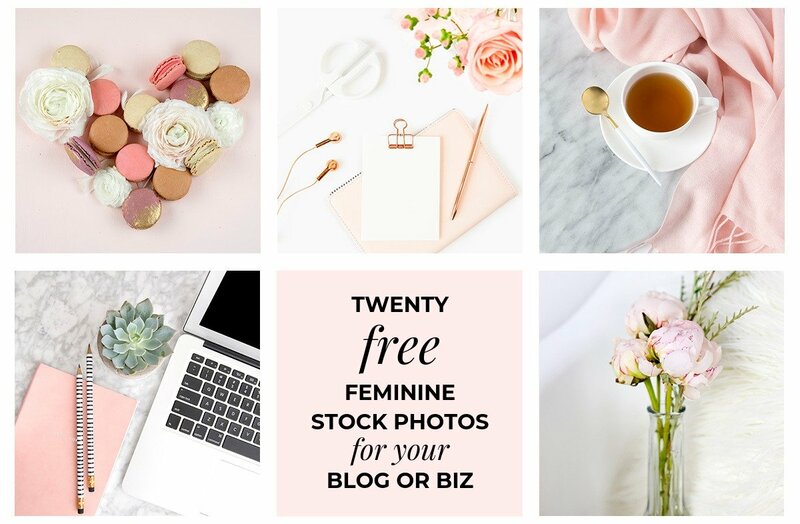 I was NOT a photographer when I launched the Styled Stock Society, but I knew it was something I wanted to try, so I emailed my existing audience with a pre-launch offer to validate interest before I ever took a single photo or created a sales page for the SSS. You definitely don't have to have everything figured out before you put it out into the world to see if people are interested! How can I better serve my audience? In certain cases, it may be time to pivot because of changes in your audience's needs. This is something that I've especially seen over time – when you've been in business for a while, YOU have changed so it shouldn't be a surprise that your audience has changed too! If you think back to what your needs were 2/3 years ago, they are probably different now. For example, most of the Styled Stock Society members are 0-2 years into their business and can't afford custom photography whereas my custom photography clients are typically more established and have the budget to hire me for custom work. You may find that you're audience wants more from you or you may find that your audience needs help with step one (when you were focused on helping them with step 2). 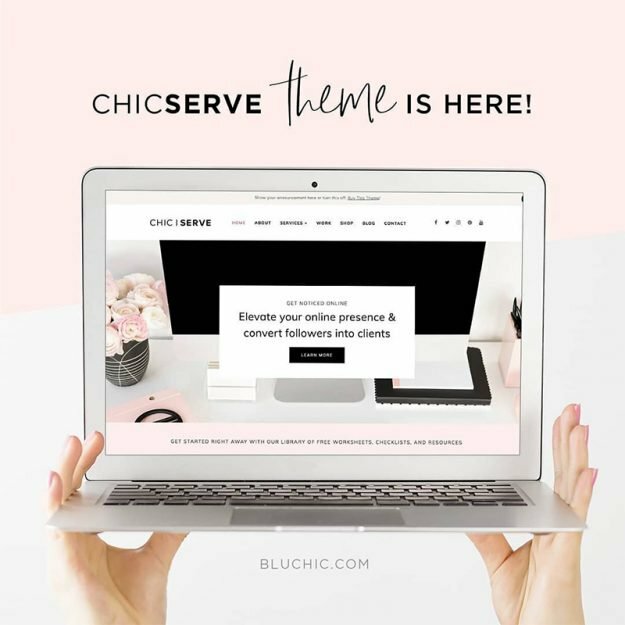 I've heard from many of my web design friends that often when clients come to them for new websites, they actually need help with their brand strategy before diving into any brand design work. Or maybe your audience has grown so much that it makes more sense to transition from a one-to-one model to a one-to-many business model in order to be able to help more people – that's a great “problem” to have! I can't state it enough – surveying your audience is SO important – make sure you're doing what YOU want but also giving them what they want! What do I need to let go of in order to move forward? Last but not least, unless you have tons of free time on your hands, chances are you're going to have to let go of something to move forward in a new direction. Whether you plan to stop offering a service in order to launch a new one or you scale back some other part of your business to allow for new growth, make sure you're planning for the new time you'll be investing in the pivot. 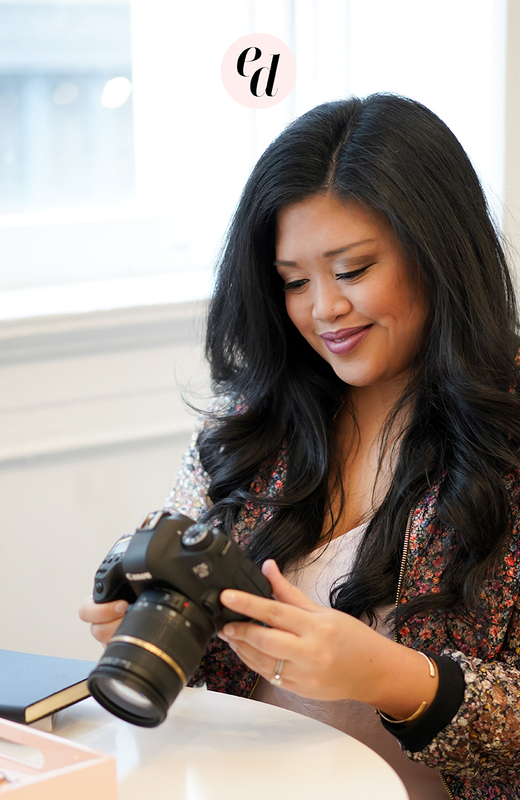 When I started to focus on styling + photography, I stopped taking on new consulting clients. 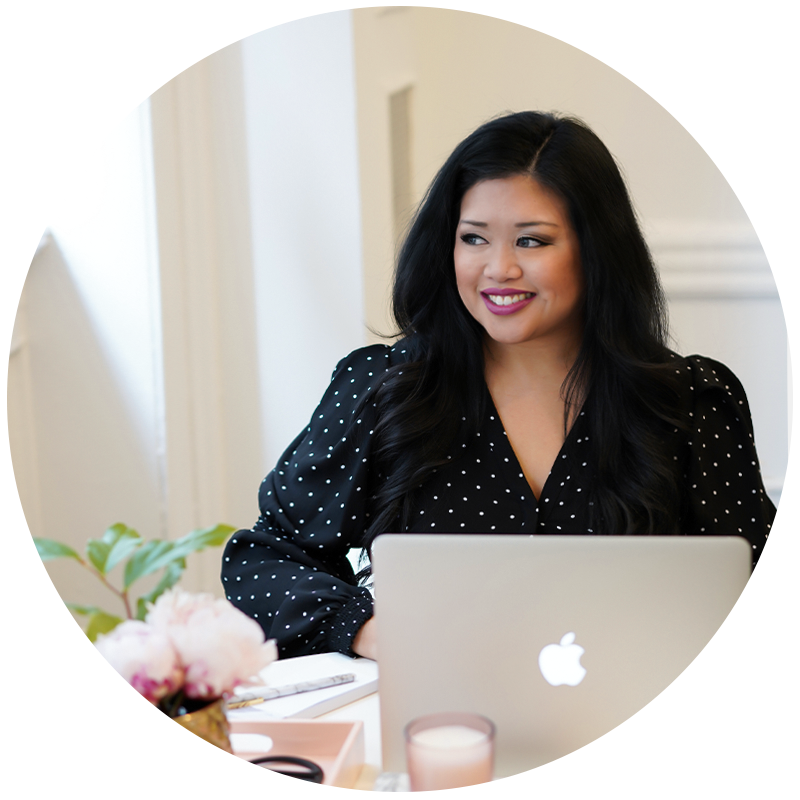 I was willing to take a “pay cut” in one area of my business knowing that I would have more time to dedicate to growing something else – and that has definitely paid off! That doesn't mean that I will never take on another consulting client again (although I might not!) – but when I was first making the change in my business, I knew that I needed to spend less time on something in order to move forward. Ready to pivot your business? Take a few minutes to answer these questions for yourself – or, if you've successfully pivoted in the past, comment with any other tips!